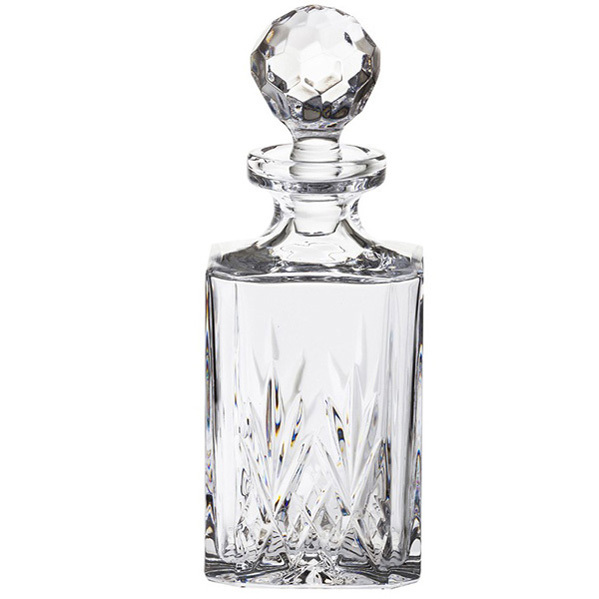 The traditional hand cut diamonds and fan design embodies the spirit of the glassmaker. 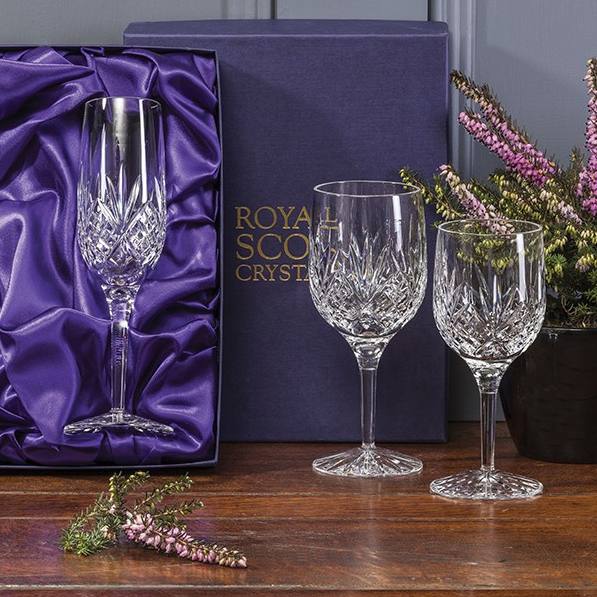 This distinguished wine suite was inspired by the Highlands of Scotland. 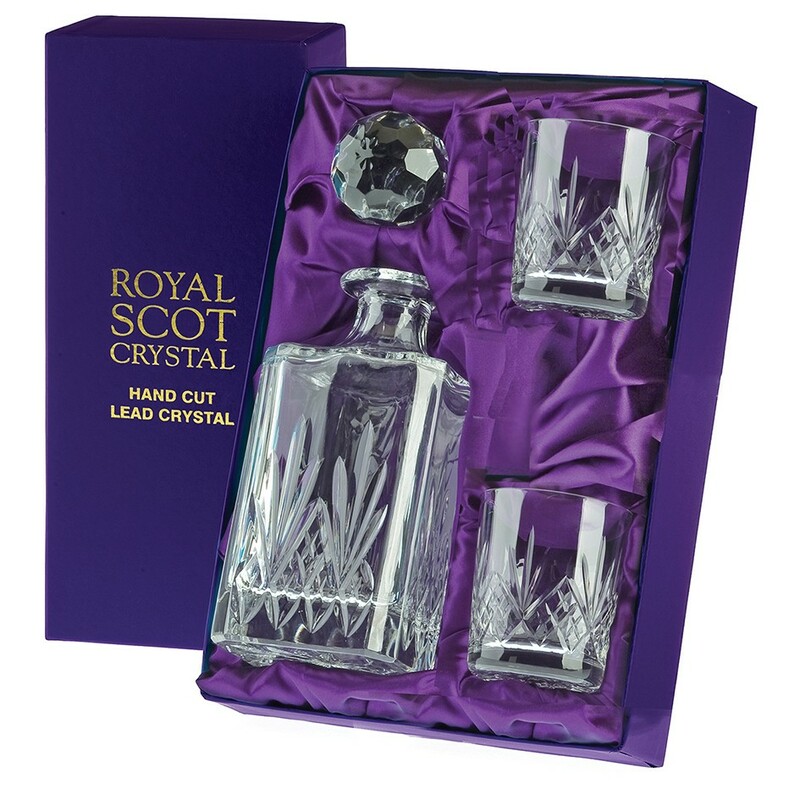 The Royal Scot Crystal Highland Whisky Set comprises of a Highland Square Spirit Decanter and 2 Whisky tumblers. 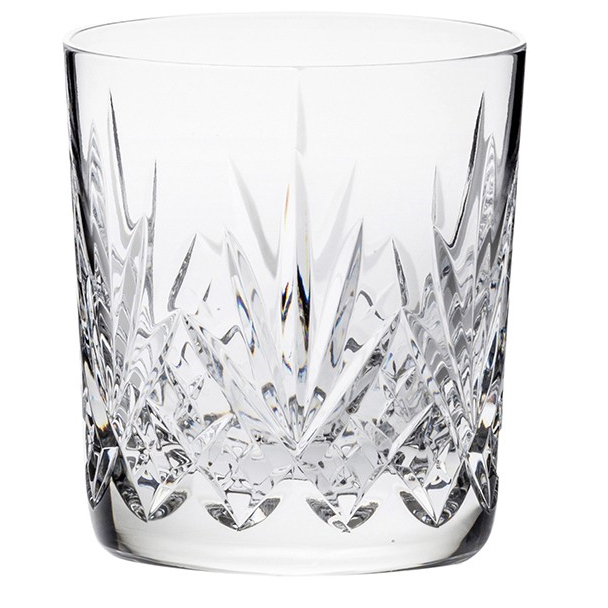 The ultimate present for someone who appreciates fine Whisky. Supplied in luxury purple satin lined presentation boxes.